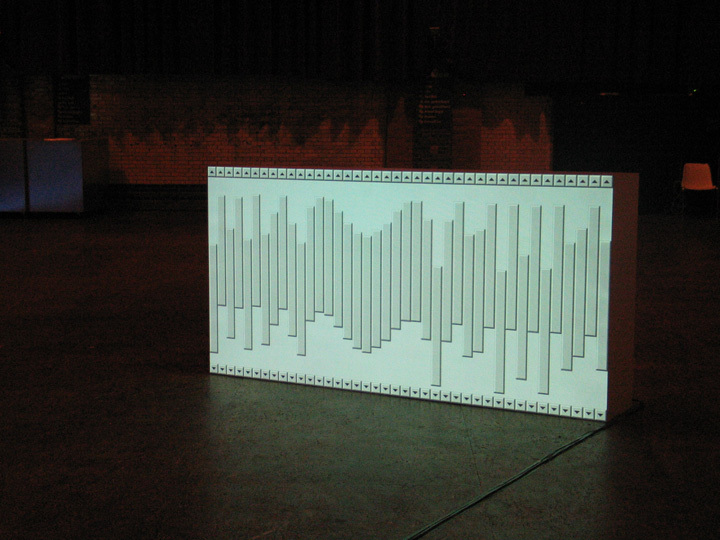 Scrollbars is an audio visual installation with forty bouncing scrollbars, made by Jan Robert Leegte and Edo Paulus. It consists of an object, size: 244 x 122 x 40 cm, projected on one side with 40 vertical scrollbars all independently moving according to a simple, deterministic algorithm. The movement of each scrollbar suggests a 'bouncing' on the floor. Complex patterns slowly emerge by having each scrollbar bounce at a slightly different speed. The collisions on the floor and grazing of the scrollbars are also being mapped to sound. 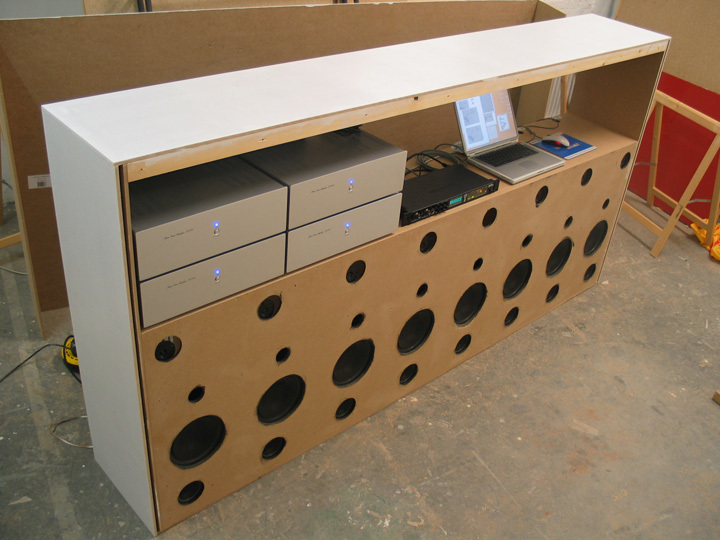 Sound is projected by means of an eight-speaker array in the same plane as the visual projection. This way the collisions and grazing are seen as well as heard on the same location. The installation, once started, keeps evolving and never repeats. Exhibited at Earational Festival in 's Hertogenbosch (NL). Exhibited at Gogbot Festival in Enchede (NL). Exhibited at Ultrasound Festival in Huddersfield (UK). 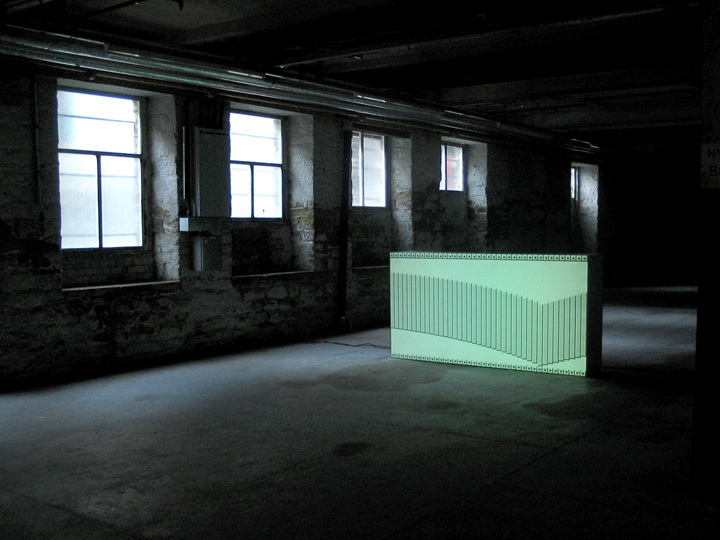 Exhibited at techno² exhibition in Montevideo, Amsterdam (NL). Exhibited at Lopend Beeld #2 Festival at the Nieuwe Vide, Haarlem (NL). 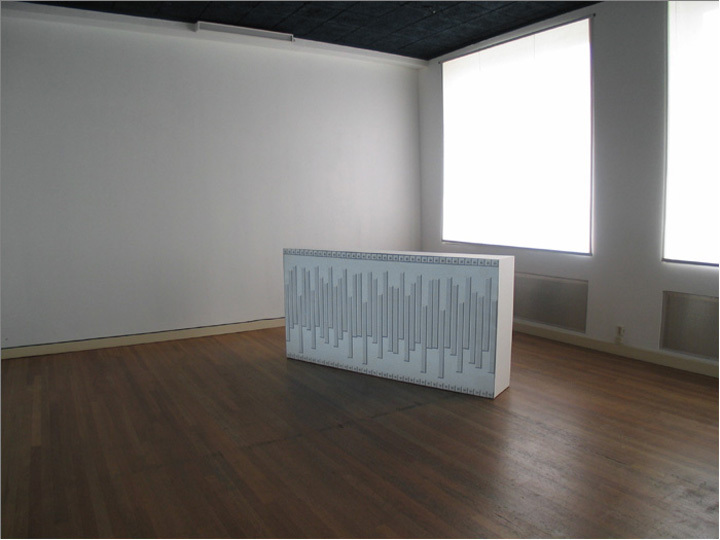 Scrollbars semi-dismantled, with visible 8-speaker array.